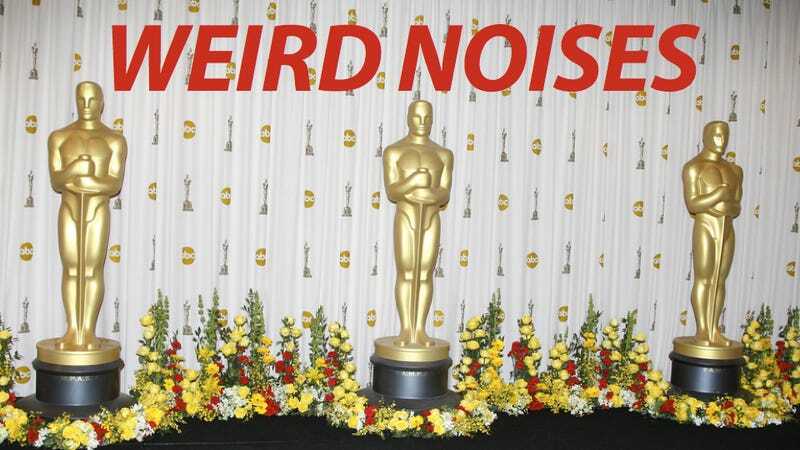 What the Hell Is That Weird Noise at the Oscars? I flipped over to the Academy Awards because, I dunno, sometimes I just do things, but there is this weird sound happening throughout. WHAT THE HELL IS THAT!? It sounds like somebody is playing Atari during all of the presenters and acceptance speeches. Are you guys hearing it too, or is this bad acid? Somebody solve this mystery. UPDATE: Okay, it's not just me. Gawker's Adrian Chen is hearing it, too and hashtag #YoOscarsSoundGuy is starting to blow up on Twitter. Some people are saying it's a problem with the satellite feed, but I'm not buying that. I'm not hearing it during any of the recorded sections or film clips, it's just the live, onstage stuff. Whatever it is, it's crazy-inducing.